It is a fact that the main cause of one of the most common respiratory disorders is little known. While it has been observed that asthma may be caused due to genetic factors and physiological and dietary intolerances, it is a fact that it may worsen due to environmental triggers. A combination of all these factors results in inflammation of the bronchi walls, thickening of the muscles, and narrowing of the passage inside. When such an inflammation and narrowing occurs, you may experience some of the most common asthma symptoms like wheezing, tightness in the chest, and coughing. While most asthma symptoms are alike, it is essential to understand the classification or type of asthma one is suffering from. Based on the type and severity of the condition, one can effectively determine the required treatment process. 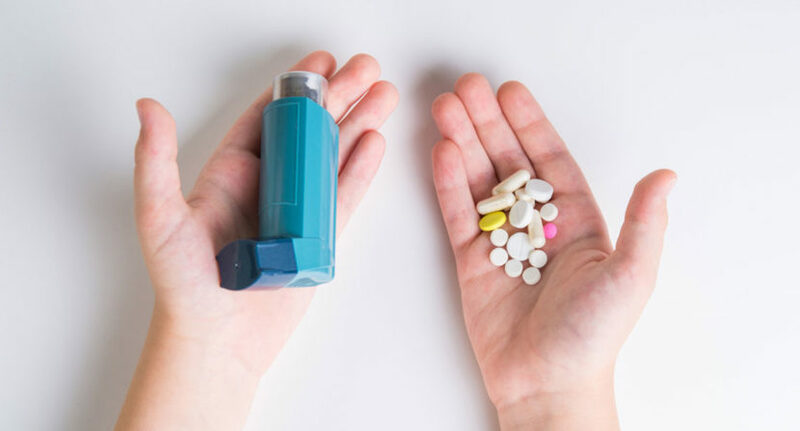 Even though asthma is a life-long disease, there are several treatment options that can effectively soothe the treatments. Some of the popular asthma treatments have been listed below. In emergency cases when there are periodic aggravations and an immediate need for treatment, most doctors prescribe quick-acting medicines that can control the symptoms and bring instant relief. These drugs are rescue medications that may be used in severe and chronic cases. Most of these medicines may include oral corticosteroids, short-acting beta agonists, ipratropium, etc. Other common treatments used in life-threatening asthma attacks is the use of mechanical ventilators, oxygen masks, and intubation tubes. However, for mild episodes of asthma doctors may suggest medicines like anti-inflammatory drugs, steroids, and bronchodilators. Similarly, patients with allergic asthma may greatly benefit from desensitizing medicines. Supportive care and alternative therapy can further help severe cases of asthma. Physiotherapy is a greatly effective treatment option performed to clear the congested airway and facilitate easy breathing. Trained professionals can help patients struggling with acute asthma with certain breathing techniques and exercises to ease discomfort. Since asthma gets aggravated by certain dietary and environmental triggers, it is essential that you incorporate certain lifestyle changes to alleviate frequent asthma attacks. Some of the ways that can help prevent sudden attacks include washing hands, staying away from extreme temperatures, being protected against cold waves, and not being exposed to pollution.